Star Wars director, George Lucas is producing a new film due to be released this month called “Red Tails”, about the first ever African-American pilots to be used in combat during World War II. Legendary Star Wars director, George Lucas will be producing the film “Red Tails“, about the first African-American pilots used in combat during World War II. 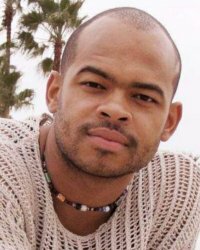 The film is directed by African-American film and television director, Anthony Hemingway. Hemingway has directed episodes of popular American dramas such as The Wire and CSI: New York. The Red Tails, tell the story of the first African-American men who overcame racial hostility and racial segregation in the US military to fly airplanes in combat during World War II. The term “Red Tails” came about because the pilots of the 332nd Fighter Group painted the tails of their P-47’s red. 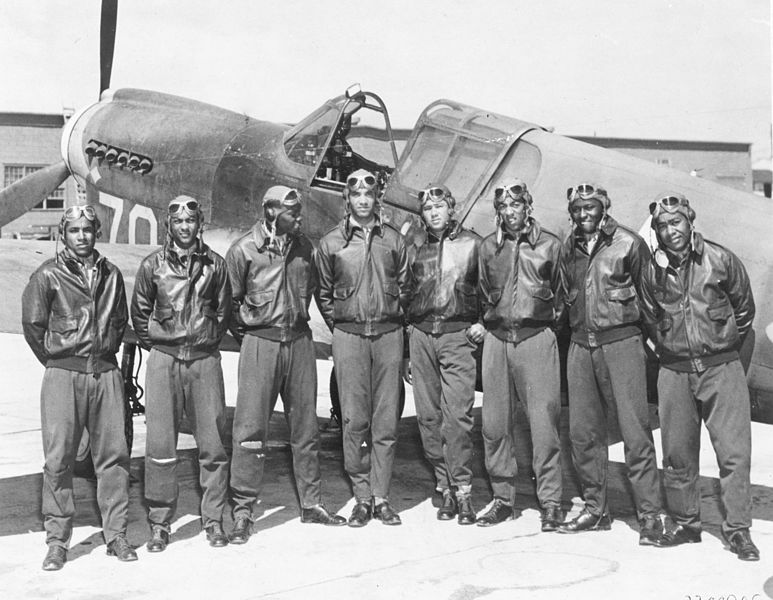 Despite stringent tests from the War Department designed to only accept pilots of the highest education and intelligence, and supposedly place African-American applicants at a disadvantage, the African-American applicants excelled becoming the first black pilots to serve in combat during World War II. They became known as the The Tuskegee Airman. Yet, despite passing the tests with distinction the US military continued to stand in the way of the Tuskegee Airman. It was US law during those times to racially segregate African-Americans into separate army units. Ironic, when you think that people are taught Word War I and II was fought to protect freedom. Apparently, the freedom under discussion was obviously not reserved for people of colour. It was only because the training was so complex that military leaders decided that segregated units was impossible to achieve their aims. In other words desegregation did not occur because they felt African-Americans were equal. While white officers were promoted in just four months no African-American pilot was promoted. Overall, the Tuskegee Airmen won three Distinguished Unit Citations, one silver star, approximately one hundred and fifty Distinguished Flying Crosses, 14 Bronze Stars, 744 Air Medals and 8 Purple Hearts. While Hollywood gives the impression of racial equality in its films, this is far from the truth. According to the Huffington Post (January 1, 2012), in an appearance on the Daily Show, George Lucas spoke of the resistance he got from Hollywood to obtain funding for the film because of its all black cast. Lucas had to fund the movie himself. Lucas also said that he was concerned that if the movie failed at the box office it would spell trouble for black filmmakers who wanted to break into the mainstream in general. Racial equality has been fought for by black people living in western countries, often at a very high price with assassinations, murders, torture and other tactics that white supremacists have used to keep black people down. Yet it has to be asked whether we truly understand what equality and freedom means? Whilst black history, both in America and Britain is filled with examples of bravery by black soldiers and pilots in World War I and World War II, it seems that in our pursuit for equality and freedom, rather than challenging the existing European colonial structures, we have assimilated into these structures and now become part of the very system that has oppressed us and other nations since European expansion into the non-European world. It shows the strength of our spirit, resolve and intelligence, that despite years of slavery, and the cultural, mental, physical and psychological genocide of our people, only decades after African-Americans were passing tests designed for whites, and flying planes which was thought beyond their intellectual capacity during those times. However, it is important that we recognise that fighting in European wars also means that we have become part of the very system which plundered our homeland and continues to plunder our homeland as well as the land of others through war. Has Western military objectives really changed that much today? Arguably not. Nearly all European conflicts and wars are now conducted in the Middle East, Africa and soon Asia. So yes, we should be proud of what the Tuskegee Airmen managed to overcome, we should herald their bravery, but we should never be proud that they fought on the side of imperialists. That is the objective, brutal truth of the matter. That is the problem I have with this film. It gives the impression that the American military was and is somehow a force for good in the world. Despite that, black people should support this film as a form of defiance towards Hollywood, who clearly only wants us and other people to see white heroes on our screens. This entry was posted in Black History and tagged African-American film and television director Anthony Hemingway, America's first African-American pilots in World War II, Red Tails, The Tuskegee Airman, first African-American pilots used in combat during World War II. Bookmark the permalink. Full support for both views. Africans (both continental and diaspora) may be a “minority” in current economic terms, including “technology” but they have proved themselves again and again, that they are in fact they are destined for majorityhood on this planet because of they are survivors!!! They have survived slavery, colonialism, apartheid on the continent and segregation abroad (including the infamous jim-crow laws etc), to the position that one of them is now nominally, a president of the most powerful state on earth. So don’t lose hope brothers and sisters.